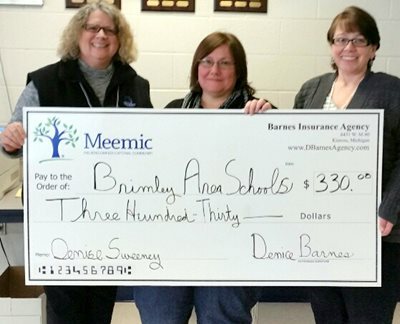 Denice Barnes of the Barnes Agency presented Denise Sweeney of Brimley Area Schools in Brimley with a Meemic Foundation Grant. Denise will use the money to purchase classroom partitions to help seventh- and eighth-grade special needs students to stay more focused and to create a safe and comfortable environment. Congratulations, Denise!